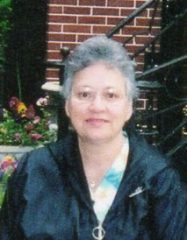 Connie Joan Spitler, 76, of Syracuse, IN passed away on April 5, 2019 at the Goshen Hospital. She was born on May 24, 1942 in Kendallville, IN to the late Dorllas Kline and Francis Conrad. She retired from Millers Merry Manor of Syracuse after 16 years. She was a very loving grandmother and mom and wife to her family. She is survived by her husband – Jack Spitler of Syracuse. 3 children – Jeff (Michelle) Spitler of Syracuse. Kim Minnick of Churubusco, and Megan Spitler of Chicago. 4 grandchildren – Brandi (Travis) Kaufman, Kyle (Trisha) Spitler, Mallorie Minnick, and Wesley Minnick. 6 great-grandchildren – Austin Spitler, Dante Kaufman, Hadley Spitler, Nixon Spitler, Nevaeh Gantt, and Rhylee Minnick. 1 brother – Steve Conrad of Syracuse. 1 sister – Stacy (Jeff) Troxel of Wakarusa, IN. 3 nephews – Michael (Katie) Conrad, Jeffery Conrad, and Brayden (Emily) Troxel. 1 niece – Ashley Troxel. She was preceded by her beloved nephew Stephen Conrad II and sister in law Kim Conrad. Visitation will be held on Tuesday, April 9, 2019 from 4-8 PM at the Eastlund Funeral Home. Services will be on Wednesday, April 10, 2019 at 11 AM at the funeral home with Pastor Tim Bushong officiating. Burial will follow at the Syracuse cemetery. Memorial contributions may be made to the Kimberly and Stephen Conrad II Scholarship Fund c/o Lake City Bank 502 S. Huntington St. Syracuse, IN 46567 or to Autism Speaks.